When you first hear of a Bentley Motor Museum, you might quite reasonably expect that it would contain Bentley cars. But no, it does not. It’s to be found in Sussex and has no connection with Bentley Motors at all. That much I did know, as I had seen various publicity flyers advertising the venue, and had come across it as a feature in various magazine and online articles, and for some years now, it has been on my list of museums that wanted to visit. I had also read that the venue welcomed Car Club visits, so when planning an event for the Abarth Owners Club that was somewhere we had not been to before, it was an obvious place to call up. And the lady I spoke to on the phone was very enthusiastic and said that she would be delighted to welcome us to the site on our chosen date in early September 2017. It’s not the easiest place to get to when you are starting off from Bristol, if I am being honest, which is one reason why I had never previously paid it a visit, but some careful diary planning meant that I only needed to go back as far as London after the event concluded. The day of the visit was one of those where the weather could not quite decide what it wanted to do, with the sun nearly burning through the clouds, but also the threat (which turned into reality) of rain also in the forecast. That perhaps deterred some prospective attendees, so this was not one of the larger AOC meetings of the year, but even so, there was plenty of interest during the day, as this report evidences. As a gathering of Abarth Owners Club cars was the catalyst for this visit, it seems to appropriate to start with them. I was the first to arrive, and initially parked up in the massive area that you get to after a drive down a long an narrow approach road that itself is from a country lane which leads you there from the main A23 road. When I went to the main building, they told me that Car Club parking is actually in an area the other side of an entrance gate and right alongside the main buildings, so I duly moved my car, and waited for other Abarths to arrive. I did not have long to wait. As always, you get a lot of variety – certainly at the detailed level – when even only a few Abarths are gathered together, and that was the case today. There was one car represented by three examples, though, and that was the recently launched 695 XSR, of which three were present. Created in recognition of the fact that for the third year running, Abarth will be Official Sponsor and Official Car Supplier of the Yamaha Factory Racing Team which is competing in the 2017 FIM MotoGP World Championship. In the wake of the Abarth 595 Yamaha Factory Racing and the 695 biposto Yamaha Factory Racing Edition, the 695 XSR Yamaha Limited Edition special series is available exclusively with a Pista Grey livery: only 695 sedans and 695 convertibles will be made. The new car was created to celebrate the Yamaha XSR900 Abarth, which is the first exclusive motorcycle to spring from the collaboration between the two brands and which sports the same grey livery with red trim as the 695 XSR, as well as sharing many of its features. The special series makes extensive use of carbon fibre to demonstrate its affinity with the front fairing, front mudguard and saddle cover of the two-wheel Yamaha. The Abarth 695 XSR and the Yamaha XSR900 Abarth also share Akrapovič ultralight exhaust developed in the racing world to boost the personality, sound and performance of both vehicles. On the Abarth car, the carbon fibre tailpipes enhance the looks and technology of the exhaust system. The XSR logo on the tailgate distinguishes the Abarth 695 XSR, while an aluminium badge identifies the sequential number of 695 units for each body type. Other carbon fibre details, in addition to the mirror caps and Akrapovič tailpipes, are available as optional equipment, such as dashboard fascia, pedal covers, gear knob and kick plate. A 1.4 T-Jet engine delivering 165 HP sits beneath the bonnet. Equipment on this special series includes Koni rear suspension and Eibach springs, 17” Supersport alloy rims with Matt Black finish, Satin Chrome accents on handles and badge supports, red details on bumpers and mirrors, red brake callipers and a braking system with perforated discs. This version can be customised even further using the tuning kit to increase the power to 180 HP, improve handling by fitting a Koni front suspension with FSD (Frequency Selective Damping) valve and make braking even prompter with 305x28mm perforated and self-ventilating Brembo floating front discs with high-performance Ferodo HP 1000/1 front brake pads. It also features the new UconnectTM 7″ HD LIVE system integrated with Apple CarPlay allows iPhone users to access contents such as Apple Maps, Messages, telephone calls, Apple Music, also with Siri voice assistance. A limited number will be sold in the UK, each with a numbered plaque. The majority of the cars were 500-based, as you would expect since this has been the marque’s biggest seller in recent years. Those present ranged from the early standard 135 bhp and uprated Esseesse model to the latest Series 4 cars which have been on the road for a year or so. Some were more standard than others. John Barrett’s Podium Blue Yamaha Edition car started off that way but in the time he has had it, more and more individual touches have been added, and it is now quite heavily modified, both visually and mechanically. There was just one example of the Punto here, a SuperSport. Easily identified by the distinctive black bonnet, just 199 of the SuperSport versions were built, of which around 120 are registered on UK roads. These cars had many of the options from the Punto Evo included as standard. Power came from the the 1.4-litre MultiAir turbo engine, tuned to produce 178bhp and 199lb ft of torque, up from 165 of the standard Punto Evo, giving the SuperSport a 0-62 time of 7.5 seconds and a top speed of over 132mph. To help put the power down, the SuperSport was fitted with wider 18″ wheels and optional Koni FSD dampers. Standard equipment included the Blue&Me infotainment system with steering wheel controls, automatic climate control and a popular option was the ‘Abarth Corsa by Sabelt’ sports leather seats. The SuperSport was available in the same colours as the regular Punto Evo, which means white, grey, black and red. And finally, there was a lone 124 Spider, the one belonging to AOC Chairman, Bertie Bryant, and is the very first registered privately owned 124 Spider in the UK. That was almost exactly 12 months prior to this event, and since then a number more of these cars have been registered, though it is still far from a common sighting. The Abarth 124 Spider was developed in parallel with the Fiat model. It does cost a lot more, and there are those who think you don’t get enough extra for your money, but those who have driven it will tell you otherwise. You certainly get more power. The 1.4 MultiAir turbo unit jumps up from 138bhp to 168bhp, while torque also increases by a modest 10Nm to 250Nm, which gives it a 0-62mph time of 6.8 seconds, which is half a second quicker than the 2.0-litre Mazda MX-5. The top speed is 143mph. It weighs just 1060kg meaning a power-to-weight ratio of 158bhp-per-tonne, and with the new Record Monza exhaust system it sounds great even at idle. The Abarth version gets a stiffer suspension setup than the regular Fiat 124 Spider, with Bilstein dampers and beefed-up anti-roll bars. Bigger Brembo brakes also feature, with aluminium calipers. It can be had with a six-speed manual or six-speed automatic transmission with paddles, and the latter gets a Sport mode for quicker shifts. Some cars here were sporting the ‘Heritage Look’ pack, which is a no-cost option. It brings a matt black bonnet and bootlid, plus red exterior trim detailing and is proving popular. The £29,565 starting price gets you standard equipment such as cruise control, climate control, Bluetooth, a DAB radio and satnav, plus Alcantara black and red (or pure black) seat trim. The automatic gearbox is a £2,035 extra, while an optional visibility pack brings LED DRLs, auto lights and wipers and rear parking sensors. This 1965 AC “Invacar” was once a common sight on our roads. In 1948, Bert Greeves adapted a motorbike for exclusively manual control with the help of his paralysed cousin, Derry Preston-Cobb, as transport for Preston-Cobb. In the number of former servicemen disabled in the Second World War they spotted a commercial opportunity and approached the UK government for support, leading to the creation of Invacar Ltd. The British Ministry of Pensions distributed Invacars free to disabled people from 1948 until the 1970s. Early vehicles were powered by an air-cooled Villiers 147 cc engine, but when production of that engine ceased in the early 1970s it was replaced by a much more powerful 4-stroke 500 cc or 600 cc Steyr-Puch engine, giving a reported top speed of 82 mph. During the 1960s and 70s the Invacar, with its modern fibreglass shell and ice-blue colouring—nicknamed Ministry Blue after the Ministry of Health was produced in the tens of thousands. Developments—including an extended wheelbase, widened track and use of Austin Mini wheels—saw the Invacars right through to the end of the final DHSS contract in 1977. More than 50 variants were produced. All Invacars were owned by the government and leased to disabled drivers as part of their disability benefit. Their use had been in decline since the introduction of the Motability scheme, which offers disabled drivers a conventional car with modified options. On 31 March 2003 all Invacars owned by the government were recalled and scrapped because of safety concerns. The veteran vehicle could not meet modern-day government regulations, which required approval under the Motorcycle Single Vehicle Approval scheme as part of a standard set by the European Union. There were still around 200 Invacars in Britain before the 2003 recall and scrapping programme. Hundreds of stockpiled Invacars in government warehouses were scrapped, along with all their spare parts. A few examples survive in the hands of private owners and museums in Britain and abroad. 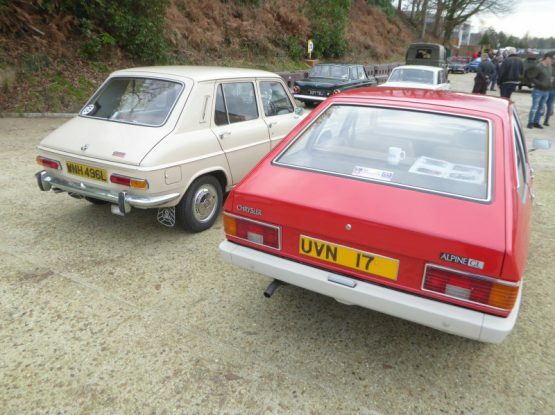 Invacars can still be used on UK roads; only vehicles owned by the government were scrapped. Also produced by AC, but somewhat earlier, was this 1923 AC Empire 12 HP. Having abandoned plans to produce a 20hp touring car, John Weller turned his not inconsiderable design talents to something more mundane – a three-wheeled commercial delivery vehicle. Introduced in 1904, the Auto-Carrier was an immediate success and a passenger version – the Sociable – followed in 1907. The firm’s first four-cylinder car, powered by an 1100cc, 10hp Fivet engine, arrived in 1913. This was superseded by a 12hp Anzani-engined model in 1919, its introduction coinciding with the first appearance of Weller’s famous overhead-camshaft ‘six’. Like the preceding Ten, AC’s new ‘four’ featured a three-speed gearbox in unit with the worm-drive rear axle, and a disc transmission brake. The four-cylinder AC lasted in production until 1928, whereafter the company offered sixes only. The AC cars of this period had a curved radiator grille very similar to the “Bullnose” Morris in shape. Having only a single door and having six wheel nuts per wheel both identify this car as an Empire model, rather than the slightly more upmarket Royal that, strangely, has only four wheel nuts per wheel. Even by 1966 only 10 Empire models were known to exist – so this must be a rare car. 1909 Alldays and Onions. This marque produced cars from 1989 until 1918. This car has a 2 cylinder 12 HP engine and a footbrake operated on the transmission. This 1965 Aston Martin DB5 Volante is the ope-topped version of what it is still probably the most famous Aston Martin model there has been, thanks to its starring role with James Bond. The DB5 was designed by the Italian coachbuilder Carrozzeria Touring Superleggera. Released in 1963, it was an evolution of the final series of DB4. The principal differences between the DB4 Series V and the DB5 are the all-aluminium engine, enlarged from 3.7 litre to 4.0litre; a new robust ZF five-speed transmission (except for some of the very first DB5s);and three SU carburettors. This engine, producing 282 bhp, which propelled the car to 145 mph, available on the Vantage version of the DB4 since March 1962, became the standard Aston Martin power unit with the launch in September 1963 of the DB5. Standard equipment on the DB5 included reclining seats, wool pile carpets, electric windows, twin fuel tanks, chrome wire wheels, oil cooler, magnesium-alloy body built to superleggera patent technique, full leather trim in the cabin and even a fire extinguisher. All models have two doors and are of a 2+2 configuration. Like the DB4, the DB5 used a live rear axle. At the beginning, the original four-speed manual (with optional overdrive) was standard fitment, but it was soon dropped in favour of the ZF five-speed. A three-speed Borg-Warner DG automatic transmission was available as well. The automatic option was then changed to the Borg-Warner Model 8 shortly before the DB6 replaced the DB5. The high-performance DB5 Vantage was introduced in 1964 featuring three Weber twin-choke 45DCOE side-draft carburettors and revised camshaft profiles, delivering greater top-end performance at the expense of overall flexibility, especially as legendary Webers are renowned as ‘full-throttle’ devices. This engine produced 315 hp. Only 65 DB5 Vantage coupés were built. Just 123 convertible DB5s were produced (also with bodies by Touring), though they did not use the typical “Volante” name until 1965. The convertible model was offered from 1963 through to 1965. Originally only 19 of the 123 DB5 Convertibles made were left-hand drive. 12 cars were originally fitted with a factory Vantage engine, and at least one further convertible was subsequently factory fitted with a DB6 specification Vantage engine. A rare factory option (actually fitted by Works Service prior to customer delivery) was a steel removable hard top. From October 1965 to October 1966, Aston Martin used the last 37 of the Aston Martin DB5 chassis’ to make another convertible model. These 37 cars were known as “Short Chassis” Volantes and were the first Aston Martins to hold the “Volante” name. Although calling it a “Short Chassis” is a bit of a misnomer as the “short” comes from comparing it to the subsequent DB6, which has a longer chassis. When compared to the DB5, it is not “short” but rather the same size, however these cars differ to the DB5 convertible models as they feature DB6 split front and rear bumpers and rear TR4 lights, as also used on the DB6. These days the DB5 is the most valuable of all the DB models from the 1960s, with many of them heading towards the £1 million pound mark. Needing little in the way of introduction was this 1991 Audi Quattro, a legend which transformed rallying and brought the idea of four wheel drive as a performance benefit to the market. The idea for a high-performance four-wheel-drive car was proposed by Audi’s chassis engineer, Jörg Bensinger, in 1977, when he found that the Volkswagen Iltis could outperform any other vehicle in snow, no matter how powerful. Bensinger’s idea was to start developing an Audi 80 variant in co-operation with Walter Treser, Director of Pre-Development.. Following an unveiling on 1st March 1980, Audi released the original Quattro to European customers in late 1980, with the car featuring Audi’s quattro permanent four-wheel drive system (hence its name), and the first to mate four-wheel drive with a turbocharged engine. The original engine was the 2,144 cc in-line-5-cylinder 10 valve SOHC, with a turbocharger and intercooler. It produced 197 bhp propelling the Quattro from 0 to 100 km/h in 7.1 seconds, and reaching a top speed of over 220 km/h (137 mph). The engine was eventually modified to a 2,226 cc inline-5 10 valve, still producing 197 bhp, but with peak torque lower in the rev-range. In 1989, it was then changed to a 2,226 cc inline-5 20v DOHC setup producing 217 bhp, now with a top speed of 230 km/h (143 mph) Audi Quattros are referred to among owners and enthusiasts by their engine codes, to differentiate between the earlier and later versions: the earliest 2144 cc 10v being the “WR” engine, the 2226 cc 10v being the “MB” engine, and the later 20v being the “RR” engine. Hence, Quattro models may be referred to as either the WR Quattro, MB Quattro, and RR or “20v” Quattro, respectively. Quattro car production was 11,452 vehicles over the period 1980–1991, and through this 11 year production span, despite some touch-ups, there were no major changes in the visual design of the vehicle. For the 1983 model year, the dash was switched from an analogue instrument cluster, to a green digital LCD electronic instrument cluster. This was later changed in 1988 to an orange LCD electronic instrument cluster. The interior was redesigned in 1984, and featured a whole new dash layout, new steering wheel design, and new centre console design, the switches around the instrument panel were also redesigned at this time. In 1985 the dash changed slightly with harder foam and lost a diagonal stripe, the dash switches were varied slightly and the diff lock pull knob gave way to a two-position turning knob with volt and oil temp digital readouts. External styling received very little modification during its production run. Originally, the car had a flat fronted grille featuring four separate headlamp lenses, one for each of the low and high beam units. This was altered for the 1983 model year, and replaced with combined units featuring a single lens, but housing twin reflectors. This was changed again, for the 1985 model year, in what has become known as the ‘facelift model’ and included such alterations as a new sloping front grille, headlights, and trim and badging changes. Max speed was 124 mph. The RR 20v Quattro also featured a new three spoke steering wheel design, leather covering for door arm rests, gloveboxes, centre console and door pockets. There was also a full length leather-wrapped centre console running all the way to the rear seats. The 20v was also the first Ur-Q to have “quattro” script interior with partial leather seats. The floor on the drivers side had a bulge due to dual catalytic exhaust setup. The different models may be distinguished by the emblems on their boot lids: the WR had a vinyl ‘quattro’ decal or a brushed aluminium effect plastic emblem, the MB had chrome plated ‘audi’, ‘audi rings’ and ‘quattro’ emblems, whilst the RR had only chrome plated ‘audi rings’. The rear suspension was altered early on with geometry changes and removal of the rear anti-roll bar to reduce a tendency for lift-off oversteer. For the 1984 facelift, the wheel size went from 6×15-inch with 205/60-15 tyres to 8×15-inch wheels with 215/50-15 tyres. At the same time the suspension was lowered 20 mm with slightly stiffer springs for improved handling. For 1987, the Torsen centre differential was used for the first time, replacing the manual centre differential lock. The last original Audi Quattro was produced on 17 May 1991, more than two years after the first models of the new Audi Coupe range (based on the 1986 Audi 80) had been produced. Oldest of the Austin models on display was this 1913 Austin 15hp, a 2.8-litre car first displayed at the seventh exhibition of motor vehicles which opened at London’s Olympia in November 1908. Its tax rating was 20 horsepower. It was sold between 1908 and 1915. It was at the 1908 Olympia Show that it first became clear British manufacturers now recognised the need to provide medium-sized cars. A host of new models in the 14 to 16 hp class were displayed. Just twelve months later it was believed only Rolls-Royce made solely high-powered cars. The first version, of which 213 were produced, was sold between 1908 and 1910. It was powered by a 4-cylinder 2½-litre (2539 cc) monobloc engine with an 89 mm bore x 100 mm stroke and a three-bearing crank-shaft. RAC rating would have been 19.64 h.p. It was Austin’s only pre-World War I model to have a, by then usual, monobloc casting. The cone-type clutch is leather-faced. The male portion consists of six leather sections riveted to spring plates. Should it be necessary an individual section can be removed cleaned and replaced in a few moments without difficulty. A revised 15 hp model was introduced in 1911 dropping the monobloc engine and reverting to Austin’s usual individually cast cylinders side-valve T-head engine design but an increased stroke of 110 mm gave a capacity of 2838 cc. With the same bore it remained rated at 19.6 hp. Austin manufactured 688 of these more powerful cars. It had a four-speed gearbox with cone clutch, shaft and bevel-drive back axle. Suspension was provided by semi-elliptic leaf springs at the front and Austin-patent full-elliptic leaf springs at the rear. Brakes were by rear wheel drum and transmission brakes. The wheels were wooden artillery style wheels with Michelin detachable rims, 815 x 105 beaded-edge tyres. In 1913, a powered chassis with tyres was available for £350. As with other Austins of the period it was available in a wide range of Austin-made bodies, including a two-seater “Harrogate” (with single rear dicky seat), a two-seater “Ascot”, a four-seater “Westminster Landaulet” or “Levee Single Landaulet” and a snub-nose “Town Carriage” with an open driver and closed passenger layout. The car seen here is an ex South African export model which spent its early life with the manager of the Kimberley mines.. There were two examples of Herbert Austin’s diminutive masterpiece, the Austin Seven, with a 1927 Austin Seven MN Top Hat and a 1937 Austin Seven Ruby on display. Herbert Austin’s masterpiece which did much to put Britain on wheels in the 1920s was first seen in 1922, as a four seat open tourer. Nicknamed Chummy, the first 100 featured a 696cc four cylinder engine, which was quickly upgraded to the 747cc unit that remained until the end of production some 17 years later. The first cars had an upright edge to the doors and a sloping windscreen, but from 1924, the screen became upright and there was a sloping edge to the doors, as well as a slightly longer body. Stronger brakes came along in 1926, along with a slightly taller nickel-plated radiator grille, conventional coil ignition, a more spacious body and wider doors. An even longer and wider body arrived in 1930, as well as a stronger crankshaft and improvements to the brakes which coupled front and rear systems together so they both worked by the footbrake. In 1931 the body was restyled , with a thin ribbon-style radiator and by 1932 there was a four speed gearbox to replace the earlier three-speeder. 1933 saw the introduction of the Ruby, a car that looked more modern with its cowled radiator. There were also Pearl and Opal versions. Development continued, so in 1937 there was a move to crankshaft shell bearings in place of the white metal previously used, and the Big Seven appeared. The last Seven was made in 1939, by which time 290,000 had been produced. Aside from saloons and tourers, there had been vans and sports derivatives like the Le Mans, the supercharged Ulster and the rather cheaper Nippy. Around 11,000 Sevens survive today. Closely related was the Big Seven, and this car is based on that. It is a 1937 Austin Big Seven Epsom Special. This 1966 Austin 1100 “skeleton car” was produced for the 1966 Earls Court Motor Show, when the factory-built estate versions of the Austin and Morris 1100 ADO16 range were making their debut. There were two examples of the “Big Healey”, a 1955 Austin Healey 100 and a 1965 3000 Mark III. Donald Healey had been producing a range of expensive sports cars from the 1940s, cars such as the Silverstone, the Abbott and the Farnham. For the 1952 London Motor Show, he produced a new design, which was called the Healey Hundred, based on Austin A90 mechanicals, which he intended to produce in-house at his small car company in Warwick. It was one of the stars of the 1952 Show, and it so impressed Leonard Lord, the Managing Director of Austin, who was looking for a replacement to the unsuccessful A90. that Lord struck a deal with Healey on the spot, to build it in quantity. Bodies made by Jensen Motors would be given Austin mechanical components at Austin’s Longbridge factory. The car was renamed the Austin-Healey 100, in reference to the fact that the car had a top speed of 100 mph. Production got under way in 1953, with Austin-Healey 100s being finished at Austin’s Longbridge plant alongside the A90 and based on fully trimmed and painted body/chassis units produced by Jensen in West Bromwich—in an arrangement the two companies previously had explored with the Austin A40 Sports. By early 1956, production was running at 200 cars a month, 150 of which were being sold in California. Between 1953 and 1956, 14,634 Austin-Healey 100s were produced, the vast majority of them, as was the case for most cars in this post war era, going for export. The car was replaced by an updated model in 1956, called the 100-6. It had a longer wheelbase, redesigned bodywork with an oval shaped grille, a fixed windscreen and two occasional seats added (which in 1958 became an option with the introduction of the two-seat BN6 produced in parallel with the 2+2 BN4), and the engine was replaced by one based on the six-cylinder BMC C-Series engine. In 1959, the engine capacity was increased from 2.6 to 2.9 litres and the car renamed the Austin-Healey 3000. Both 2-seat and 2+2 variants were offered. It continued in this form until production ceased in late 1967. The Big Healey, as the car became known after the 1958 launch of the much smaller Austin-Healey Sprite, is a popular classic now. You come across the 3000 models more frequently than the 100s, as they accounted for more than 60% of all Big Healey production. A star attraction in the collection is this 1987 Benetton 187-03 Formula 1 car. The B187 replaced the B186 used in the 1986 season. In 1987 Benetton effectively became the Ford works team in F1 as they had exclusive use of the turbocharged Ford TEC V6 engine for 1987, rated at approximately 900 bhp (671 kW; 912 PS). Driven by Belgian Thierry Boutsen and Italian Teo Fabi, the team and the B187 got off to a good start with Boutsen finishing 5th at the season opening Brazilian Grand Prix, but after that the high boost the team ran in order to keep up with their competition saw the reliability of the TEC engine become suspect. However, by running less turbo boost (which hampered speed but also saw the reliability woes go down), by mid-season both Fabi and Boutsen were regularly challenging the top 4 teams of McLaren, Williams, Lotus and Ferrari for podium finishes. Boutsen led the Mexican Grand Prix (the race the team had won in 1986) before being forced to retire. Boutsen finished the season in 8th place with 16 points while Fabi, in his last year in F1, was 9th with 12 points scored. Overall with the B187, Benetton finished 5th in the constructors championship with 28 points. For Benetton this was a 9-point and 1 place improvement on the 1986 season, although unlike 1986, the team did not win a race in 1987. The B187 was the last of the turbo cars produced by Benetton (dating back to when Toleman produced its first car, the TG181 in 1981) and was replaced in 1988 by the Naturally aspirated, Ford DFR, V8 powered B188. The B188 would the first car constructed by the team, either as Toleman or Benetton, that would not be powered by a turbocharged engine. The B187 was driven by Jackie Stewart in 1989 as part of a show where he drove a number of race cars, including several Formula One machines, and declared it to be one of the better cars he drove. The B187 was the last F1 car driven by Teo Fabi, the Italian being pushed out of the team for 1988 with the signing of fellow Italian Alessandro Nannini. With no offers for a drive in 1988, Fabi’s last race for the team was the Australian Grand Prix. It was at this race that a disgruntled Fabi deliberately held up Boutsen from lapping him for several laps despite repeated pit board signs and radio messages to let his team mate past. Cars like this 1939 Bentley 4 1/4 litre “Derby” were produced after the acquisition of Bentley by Rolls-Royce, in 1934, at which point the focus of the brand shifted to the production of large and elegant tourers. The cars retained the famous curved radiator shape based on earlier Bentley models, but in all meaningful respects they were clearly Rolls-Royces. Although disappointing some traditional customers, they were well received by many others and even W.O. Bentley himself was reported as saying that he would “rather own this Bentley than any other car produced under that name.” The Rolls-Royce Engineer in charge of the development project, Ernest Hives (later Lord Hives), underlined the Rolls-Royce modus operandi in a memo addressed to company staff “our recommendation is that we should make the car as good as we know how and then charge accordingly.” At a time when the Ford 8 could be purchased new for £100, an early Bentley 3½ Litre cost around £1,500 (equivalent to £6400 vs. £96,000 today), putting it beyond the reach of all but the wealthiest consumers. Despite not being a car of remarkable outright performance, the car’s unique blend of style and grace proved popular with the inter-war elite and it was advertised under the legend the silent sports car. Over 70% of the cars built between 1933 and 1939 were said to have still been in existence 70 years later. Although chassis production ceased in 1939, a number of cars were still being bodied and delivered during 1940. The last few were delivered and first registered in 1941. The 3.5 litre came first. Based on an experimental Rolls-Royce project “Peregrine” which was to have had a supercharged 2¾ litre engine, the 3½ Litre was finally fitted with a less adventurous engine developed from Rolls’ straight-6 fitted to the Rolls-Royce 20/25. The Bentley variant featured a higher compression ratio, sportier camshaft profile and two SU carburettors on a crossflow cylinder head. Actual power output was roughly 110 bhp at 4500 rpm, allowing the car to reach 90 mph. The engine displaced 3669 cc with a 3¼ in (82.5 mm) bore and 4½ in (114.3 mm) stroke. A 4-speed manual transmission with synchromesh on 3rd and 4th, 4-wheel leaf spring suspension, and 4-wheel servo-assisted mechanical brakes were all common with other Rolls-Royce models. The chassis was manufactured from nickel steel, and featured a “double-dropped” layout to gain vertical space for the axles and thus keep the profiles of the cars low. The strong chassis needed no diagonal cross-bracing, and was very light in comparison to the chassis built by its contemporary competitors, weighing in at 2,510 pounds (1,140 kg) in driveable form ready for delivery to the customer’s chosen coachbuilder. 1177 of the 3½ Litre cars were built, with about half of them being bodied by Park Ward, with the remainder “dressed” by other coachbuilders like Barker, Carlton, Freestone & Webb, Gurney Nutting, Hooper, Mann Egerton, Mulliner (both Arthur and H J), Rippon, Thrupp & Maberly, James Young, Vanden Plas and Windovers in England; Figoni et Falaschi, Kellner, Saoutchik and Vanvooren in Paris; and smaller concerns elsewhere in UK and Europe. Beginning in March, 1936, a 4¼ Litre version of the car was offered as replacement for the 3½ Litre, in order to offset the increasing weight of coachwork and maintain the car’s sporting image in the face of stiff competition. The engine was bored to 3½ in (88.9 mm) for a total of 4257cc. From 1938 the MR and MX series cars featured Marles steering and an overdrive gearbox. The model was replaced in 1939 by the MkV, but some cars were still finished and delivered during 1940-1941. 1234 4¼ Litre cars were built, with Park Ward remaining the most popular coachbuilder. Many cars were bodied in steel rather than the previous, more expensive, aluminium over ash frame construction. This car has a Windover Tourer body and is unique. All the brightwork is nickel-plated. This 1934 BMW 315 is an example of the first series of BMW cars that were sold in the UK, by Frazer-Nash. The 315 and 319 ranges looked the same and were supplied with a mix of 1.5 and 2.0 litre engines, some with two and some with three carburettors, all with iron heads and vertical valves. 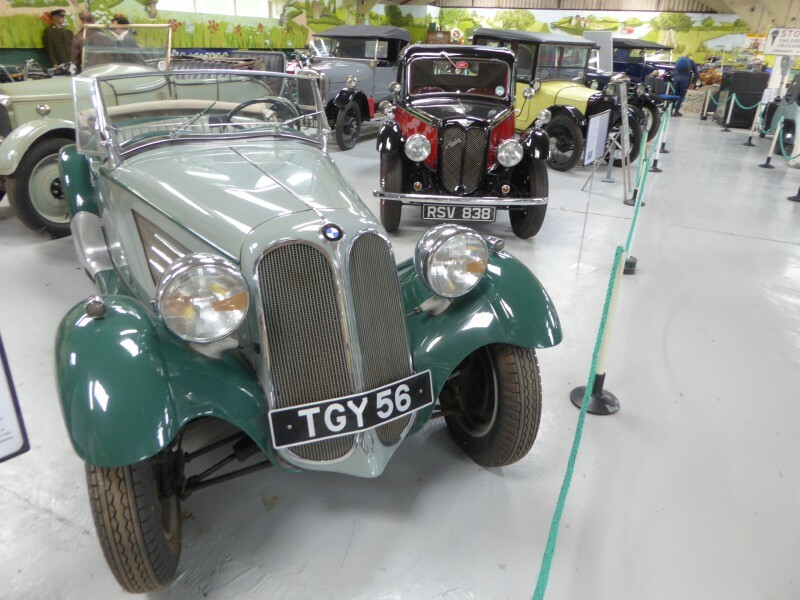 By this time production of the chain driven Frazer Nash cars had ceased as the advantages of BMW’s design were indisputable, with outstanding ride and road holding for their day. This was thanks to a stiff tubular chassis, independent front suspension and rack and pinion steering. The early cars – 315, 319 and 329 – had cable brakes and a 6 volt electrical system. Later models had a box chassis with semi-elliptic rear springs. Many of the early cars had aluminium panels over ash frames, but later cars would have all steel bodies. All had the benefit of a foot operated one-shot chassis oil lubrication system. The cars were very advanced compared to what else was on the market at the time, but they were expensive. Even so, more than 700 cars were brought into the UK before the Second World War. This 1971 Enfield Electric is the prototype for a small number of cars – believed to be 108 – that were built at Cowes on the Isle of Wight. 65 of them went to the Electricity Council. It cost three times the price of a Mini 1000. This 1953 Ford Prefect is one of the last of its type made before the model was replaced by a much more modern looking car later that year. Ford first launched the Prefect in October 1938, as a slight reworking of the previous year’s 7W, the first Ford car designed outside of Detroit, Michigan. It was designed specifically for the British market. It had a 1,172 cc side-valve engine with thermocirculation radiator (no pump) and the ability to be started by a crank handle, should the battery not have sufficient power to turn the starter motor, running from the six-volt charging system. The windscreen wipers were powered by the vacuum ported from the engine intake manifold — as the car laboured uphill the wipers would slow to a standstill due to the intake manifold vacuum dropping to near nil, only to start working again as the top was reached and the intake vacuum increased. The windscreen opened forward pivoting on hinges on the top edge; two flaps either side of the scuttle also let air into the car. The car has a durable four-cylinder motor. The most common body styles were two- and four-door saloons, but pre-war a few tourers and drophead coupés were made. Post-war, only four-door saloons were available on the home market, but two-door models were made for export. 41,486 were made up to 1941 and a further 158,007 between 1945 and 1948. Post war, the Prefect design changed little until replacement. The headlamps moved into the wings and trafficators were fitted (internally lit semaphores springing out from the door pillars to signal left and right turns), though due to space restrictions these were left out on the Australian-built Ute. Only four-door saloons were available on the home market, the two-door sector being left to the Anglia but some were made for export. In standard form, it was the cheapest 4-door car on the British market. This 1950 Frazer Nash Mille Miglia 2 litre was sold new in New York and raced all over the USA including twice in the Sebring 12 Hours. From 1966 it was in storage with a broken engine until it was bought in 1997 by John Coombs who had it restored. Amazingly it now belongs to Robert Young, the original owner from 1951 – 1953. This is a 1965 Gordon Keeble a British car made first in Slough, then Eastleigh, and finally in Southampton between 1964 and 1967. The marque’s badge was unusual in featuring a tortoise — a pet tortoise walked into the frame of an inaugural photo-shoot, taken in the grounds of the makers. Because of the irony (the slowness of tortoises) the animal was chosen as the emblem. The Gordon-Keeble came about when John Gordon, formerly of the struggling Peerless company, and Jim Keeble got together in 1959 to make the Gordon GT car, initially by fitting a Chevrolet Corvette V8 engine, into a chassis by Peerless, for a USAF pilot named Nielsen. Impressed with the concept, a 4.6 litre Chevrolet V8 was fitted into a specially designed square-tube steel spaceframe chassis, with independent front suspension and all-round disc brakes. The complete chassis was then taken to Turin, Italy, where a body made of steel panels designed by Giorgetto Giugiaro was built by Bertone. The car’s four five-inch headlights were in the rare, slightly angled “Chinese eye” arrangement also used by a few other European marques, generally for high-speed cars such as Lagonda Rapide, Lancia Flaminia and Triumphs, as well as Rolls-Royce. The interior had an old luxury jet feel, with white on black gauges, toggle switches, and quilted aircraft PVC. The car appeared on the Bertone stand in March 1960, branded simply as a Gordon, at the Geneva Motor Show. At that time problems with component deliveries had delayed construction of the prototype, which had accordingly been built at breakneck speed by Bertone in precisely 27 days. After extensive road testing the car was shipped to Detroit and shown to Chevrolet management, who agreed to supply Corvette engines and gearboxes for a production run of the car. The car was readied for production with some alterations, the main ones being a larger 5.4-litre 300 hp Chevrolet V8 engine and a change from steel to a glass fibre body made by Williams & Pritchard Limited. Problems with suppliers occurred and before many cars were made the money ran out and the company went into liquidation. About 90 cars had been sold at what turned out to be an unrealistic price of £2798. In 1965 the company was bought by Harold Smith and Geoffrey West and was re-registered as Keeble Cars Ltd. Production resumed, but only for a short time, the last car of the main manufacturing run being made in 1966. A final example was actually produced in 1967 from spares, bringing the total made to exactly 100. 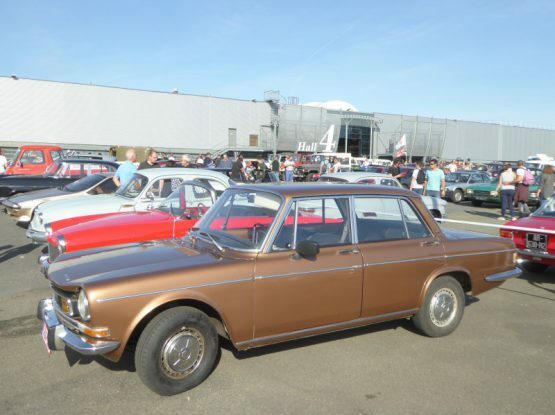 An attempt was made to restart production in 1968 when the rights to the car were bought by an American, John de Bruyne, but this came to nothing, although two cars badged as De Bruynes were shown at that year’s New York Motor Show along with a new mid-engined coupé. The Gordon-Keeble Owners’ Club claim that over 90 examples still exist and this is car number 73. This is a 1921 GWK, not a marque that many will have heard of. GWK is short for Grice, Wood and Keller and the car has a Friction Drive. It has covered just 8,000 miles. This 1902 Hanzer is the oldest car on display. A French machine, it is powered by a 6hp single cylinder engine. It starred in the 1967 feature film “Half a Sixpence”, driven by Tommy Steele and is a regular entrant in the London-Brighton run. Another little known vehicle, and one of the smallest on show is this 1951 Hazelcar. This was designed by brothers Eric and Roy Hazeldine, who had garages in Rottingdean and Telcombe Cliffs, near Brighton. It was bought new y Sir Roderick Jones, the former head of Reuters for his son, who clocked up 28,000 miles in tow years. One of around 25 that were built, it has a rear-mounted Ford engine and rides on tiny 8″ wheels. This is a 1964 Jaguar Mark 2, an example of one of the most loved Jaguars of all time, both when it was new, and still now. Many will tell you that it is not the 3 Series BMW that “invented” the “compact sports saloon” car class, but this model, which dates back to 1959. A thorough revision of the small Jaguar saloon that had joined the range in 1955, the Mark 2 was notable in that it was the first car to use the Arabic numeral in its name, as opposed to the Roman numerals of the larger Jaguar models. At launch, the earlier model which had hitherto been known by its engine size was christened the Mark 1. Although clearly based on that car, the updated car looked significantly different, with an increase of 18% in cabin glass area greatly improving visibility. The car was re-engineered above the waistline. Slender front pillars allowed a wider windscreen and the rear window almost wrapped around to the enlarged side windows now with the familiar Jaguar D-shape above the back door and fully chromed frames for all the side windows. The radiator grille was amended and larger side, tail and fog lamps repositioned. Inside a new heating system was fitted and ducted to the rear compartment (although still notoriously ineffective). There was an improved instrument layout that became standard for all Jaguar cars until the XJ Series II of 1973. As well as the familiar 2.4 and 3.4 litre engines, what made this car particularly special was that it was also offered with the potent 220 bhp 3.8 litre unit that was fitted to the XK150 and which would later see service in the E Type. This gave the car a 0 – 60 time of around 8.5 seconds and a top speed of 125 mph. No wonder that the Mark 2 became popular as a get-away car for the criminal fraternity, and to keep up with and catch them, many police forces bought the car as well. With revised suspension and standard four wheel disc brakes, the car was effective on the track, taking plenty of class wins when new, and it is still popular in historic racing circles today. The quickest and most successful private entries came from John Coombs, a man with significant race experience who operated a large Jaguar dealership in Guildford. Coombs would undertake modifications to meet the demands of his customers, so not all the cars that he worked on are the same. Jaguar replaced the Mark 2 with simplified and slightly more cheaply finished 240 and 340 models, as an interim measure until an all-new model was ready to take over from them. The 3.8 litre disappeared from the range at this time, but in the 7 years it had been in production, it had been the best seller of the range, with around 30,000 cars produced, as compared to 28,666 of the 3.4 litre and 25,741 of the 2.4 litre model. The 1952 Lotus VI (Six) was a precursor to the legendary Seven. After building multiple trials and road racing cars, Colin Chapman introduced his first ‘production’ car, the Lotus Mark VI, in 1952. The heart of the Mark VI was a space frame chassis. Rather than a complete car, it was available to the general public as kit, wherein the customer could install any preferred engine and gearbox, making it eligible for a wider number of formulae. The Mark VI in many ways reflected Chapman’s background in engineering: his designs resulted from a stress analysis of loads into the frame, they were extremely light (the 6′ space frame weighed only 55 lbs), and the suspension incorporated the latest advances. The prototype chassis was built up by the Progress Chassis Company and the aluminium body was constructed by panel beaters Williams and Prichard. (Both firms would later furnish bodies and chassis for subsequent models.) The cheap and easily available mechanical parts were sourced from the Ford Prefect. The Mark VI became a popular sight on Britain’s racetracks, and was a frequent winner, beating many more powerful and expensive cars, earning praise for very good handling and superior low-speed acceleration. An important facet of the success of the kit was Chapman’s offering a comprehensive package in the Mark VI, including most of the special parts needed, and not just the chassis. The Mark VI chassis came with mounting points for several different engines including the 1172cc Ford 10, the 1250 cc or 1500 cc MG TF, the 1500cc Consul, and the exalted Coventry Climax. Standardised as far as possible for volume production, some units were customised per the owners wishes. Lotus even modified the owner’s parts, if needed. When fitted with the 1172cc Ford engine, and a 3 speed gearbox, the car put out 50 bhp at 5000 rpm, and generated 57 lb/ft of torque, which gave the car a 0 – 60 time of 15 seconds and a top speed of 93 mph. The success of the Mark VI in competition and sales – 100 had been built by 1955 – established Chapman as a manufacturer of specialty cars. This particular car was originally owned by Colin Chapman. This is a 1969 MGC GT, and is one of just 335 with an automatic gearbox. The MGC was produced as a sort of replacement for the Big Healey, though apart from sharing that car’s 3 litre straight six C Series engine, the reality is that the car was quite different and generally appealed to a different sort of customer. Or, if you look at the sales figures, you could say that it did not really appeal to anyone much, as the car struggled to find favour and buyers when new. More of a lazy grand tourer than an out and out sports car, the handling characteristics were less pleasing than in the B as the heavy engine up front did the car no favours. The market now, finally, takes a different view, though and if you want an MGC, in Roadster or the MGC GT form the latter of which was to be seen here, you will have to dig surprisingly deeply into your pocket. The 1928 Minerva type AK 32, with coachwork by the Elkington Carriage Company of Chiswick, has been at Bentley almost since the museum opened. It has a 6 litre 6 cylinder engine. This is an 1962 Ogle SX1000, a front-wheel drive Mini-based coupé-style motor vehicle designed by David Ogle, the founder of Ogle Design. The car was introduced to the public in December 1961, and from the following year David Ogle Ltd. offered to transform any customer’s Mini into an SX1000 for £550 All of the car’s mechanical components came from the Mini, but with a new fibreglass body shell. The windscreen comes from the Riley 1.5, as does the indicator stalk on the right of the steering column. The SX1000 has the same front disc and rear drum brake arrangement as the standard Mini Cooper. A racing version of the SX1000 was produced later in 1962, the Ogle Lightweight GT. As well as its lighter body it had a built-in rollbar, lowered suspension, and bucket seats. BMC, the manufacturer of the Mini on which the SX1000 is based, initially refused to supply new parts to David Ogle Ltd, but eventually relented on condition that the word Mini was not mentioned in any promotional material. All Ogle cars were subsequently supplied with new Mini cooper 997 cc engines, and priced at £1,190. The motoring magazine Autocar was the first to road test the SX1000, over more than 1000 miles. Their complimentary test report stated that the car was able to exceed 99 mph.Motor Sport reported in their test that the car could reach 90 mph on the straight and 100 mph on a long downhill gradient, albeit with some road rumble and vibration through the gear lever. Fuel consumption was 35 mpg . While Motor Sport magazine’s reviewer was impressed by the car, and in particular by the high quality of its glassfibre body, the report’s overall conclusion was that “Economically it is difficult to justify the purchase of a car like this which is heavier than the standard car from which it is derived and has fewer seats”. In May 1962 David Ogle was killed in a road traffic accident when he crashed into a lorry while driving the Ogle Lightweight to the Brands Hatch racing circuit. The company decided to cease production of the SX1000 following Ogle’s death. The last cars were completed towards the end of 1963, by which time 69 had been built. This 1927 Riley Monaco is one of a vast array of different models produced by Riley in the late 1920s. The Monaco, in this form, was a fabric-bodied saloon version of the Nine that was introduced in 1926 and produced until 1932. The car was largely designed by two of the Riley brothers, Percy and Stanley. Stanley was responsible for the chassis, suspension and body and the older Percy designed the engine. The 1,087 cc four-cylinder engine had hemispherical combustion chambers with the valves inclined at 45 degrees in a crossflow head. To save the expense and complication of overhead camshafts, the valves were operated by two camshafts mounted high in the crankcase through short pushrods and rockers. The engine was mounted in the chassis by a rubber bushed bar that ran through the block with a further mount at the rear of the gearbox. Drive was to the rear wheels through a torque tube and spiral bevel live rear axle mounted on semi elliptic springs. At launch in July 1926 two body styles were available, a fabric bodied saloon called the Monaco at £285 and a fabric four-seat tourer for £235. The saloon could reach 60 mph and give 40 mpg. Very quickly a further two bodies were offered, the San Remo, an artillery wheeled basic saloon and a two-seater plus dickie open tourer and there was also the option of steel panelling rather than fabric for the four-seater tourer. After the car’s 1926 launch, Mark 1 production actually started in 1927 at Percy’s engine factory, due to some resistance in the main works to the new design. It was such a critically acclaimed success that after fewer than a thousand cars had been produced the works quickly shut down side-valve production and tooled up for the new Nine in early 1928. This switch to the main factory coincided with several modernisations of the Mark 1 – the cone clutch was dropped, the gear lever and handbrake were moved from the right to the centre of the car and a Riley steering box was adopted, thus making the car the Mark II. The Mark III was a gentle update of the II at the end of 1928, evolving stronger wheels and a different arrangement of rods to the rear brakes. The Mark IV was a thorough re working of the Nine. Heavier Riley-made 6-stud hubs and axles replaced the bought-in five-stud items. A new cable braking system was introduced with larger drums. The range of bodies was further extended in 1929 with the Biarritz saloon which was a de-luxe version of the Monaco. The improved brakes were fitted using the Riley continuous cable system and if the cable stretched it could be adjusted from the driver’s seat. More body variants were added over the next few years and in 1934 a Preselector gearbox was offered for £27 extra. The range was slimmed down in 1935 to the Monaco saloon, Kestrel streamlined saloon and Lynx four-seat tourer as the works started gearing up for production of the new 12 hp model. In an attempt to keep costs down Riley entered into an agreement with Briggs Manufacturing to produce a steel (non coach-built) body for a newly designed chassis. This new chassis was introduced in 1936 and incorporated such features as Girling rod operated brakes and a prop shaft final drive for the Nine (though the 12 hp variant retained the torque tube). The Briggs body was named the Merlin and was available alongside the last nine Kestrel variant, also built on the “Merlin” chassis. The Briggs body evolved through 1937 with a large boot extension to be called the Touring Saloon and an additional body style was added on the same chassis – the higher specified special series Monaco (a completely new design from the previous car). The final version (and last nine model) was the 1938 Victor also available with 1496 cc engine. The Victor had the engine further forward to increase interior room, with the battery moved to the engine bay and smaller diameter wheels were fitted. The Riley company was bought by Lord Nuffield in 1938 and Nine production ceased as the company pursued a strict two-engine line up, continued after the war with the RM series. Representing the P4 family of Rover models was this 1958 Rover 75. This was the first new car that Rover announced after the war, with the first of the family called the known as the 75. It was launched at the Earls Court Motor Show in September 1949, to replace all previous models and then continued in production until 1964, though the car underwent lots of change under the skin in those 15 years. Designed by Gordon Bashford, the car went into production in 1949 as the 6-cylinder 2.1-litre Rover 75. It featured unusual modern styling in stark contrast with the outdated Rover P3 model 75 which it replaced. Gone were the traditional radiator, separate headlamps and external running boards. In their place were a chromium grille, recessed headlamps and a streamlined body the whole width of the chassis. The car’s styling was derived from the then controversial 1947 Studebakers. The Rover executives purchased two such vehicles and fitted the body from one of them to a prototype P4 chassis to create a development mule. In James Taylor’s highly regarded book ‘Rover P4 – The Complete Story’ he advised that this vehicle was affectionately known as the ‘Roverbaker’ hybrid. Another, at the time minor, distinctive feature but this one did not catch-on was the centrally mounted light in the grille where most other manufacturers of good quality cars provided a pair, one fog and one driving light often separately mounted behind the bumper. Known, unkindly, as the “Cyclops eye” it was discontinued in the new grille announced 23 October 1952. The earliest cars used a more powerful version of the Rover engine from the 1948 Rover P3 75, a 2103 cc straight-6 engine now with chromium plated cylinder bores, an aluminium cylinder head with built-in induction manifold and a pair of horizontal instead of downdraught carburettors. A four-speed manual transmission was used with a column-mounted gear lever which was replaced by a floor-mounted mechanism in September 1953. At first the gearbox only had synchromesh on third and top but it was added to second gear as well in 1953. A freewheel clutch, a traditional Rover feature, was fitted to cars without overdrive until mid-1959, when it was removed from the specifications, shortly before the London Motor Show in October that year. The cars had a separate chassis with independent suspension by coil springs at the front and a live axle with half-elliptical leaf springs at the rear. The brakes on early cars were operated by a hybrid hydro-mechanical system but became fully hydraulic in 1950. Girling disc brakes replaced drums at the front from October 1959. The complete body shells were made by the Pressed Steel company and featured aluminium/magnesium alloy (Birmabright) doors, boot lid and bonnets until the final 95/110 models, which were all steel to reduce costs. 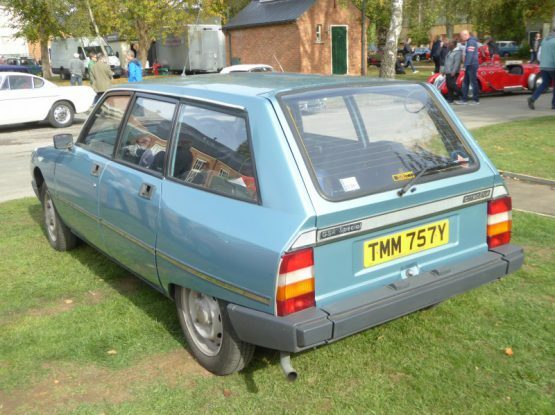 The P4 series was one of the last UK cars to incorporate rear-hinged “suicide” doors. After four years of the one model policy Rover returned to a range of the one car but three different sized engines when in September 1953 they announced a four-cylinder Rover 60 and a 2.6-litre Rover 90. A year later, an enlarged 2230cc engine was installed in the 75, and an updated body was shown with a larger boot and a bigger rear window and the end of the flapping trafficators, with redesigned light clusters. Further detailed changes would follow. Announced 16 October 1956, the 105R and 105S used a high-output, 8.5:1 compression version of the 2.6 litres engine used in the 90. The higher compression was to take advantage of the higher octane fuel that had become widely available. This twin-SU carburettor engine produced 108 hp. Both 105 models also featured the exterior changes of the rest of the range announced a month earlier. The 105S featured separate front seats, a cigar lighter, chromed wheel trim rings and twin Lucas SFT 576 spotlamps. To minimise the cost of the 105R, these additional items were not standard, however they were provided on the (higher priced) 105R De Luxe. The 105R featured a “Roverdrive” automatic transmission. This unit was designed and built by Rover and at the time was the only British-built automatic transmission. Others had bought in units from American manufacturers such as Borg-Warner. This unit was actually a two-speed automatic (Emergency Low which can be selected manually and Drive) with an overdrive unit for a total of three forward gears. The 105S made do with a manual transmission and Laycock de Normanville overdrive incorporating a kick-down control. The 105S could reach a top speed of 101 mph. Production of the 105 line ended in 1958 for the 105R and 1959 for the manual transmission 105S, 10,781 had been produced, two-thirds with the manual transmission option. For 1959 the manual model was described simply as a 105 and the trim and accessory level was reduced to match the other models. In 1959, the engines were upgraded again, with the 80 replacing the 60 and the 100 replacing the 90 and the 105. The four cylinder cars were not particularly popular, though and in September they were replaced by the six cylinder 95. Final model was the 110, which took its place at the top of the range until production ceased, a few months after the very different P6 model 2000 had come along. These cars are popular classics these days. Surely everyone who is old enough remembers the 1985 Sinclair C5, as it gained a lot of press on launch, and little of it quite what its creator had in mind! The Sinclair C5 was a small one-person battery electric velomobile, technically an “electrically assisted pedal cycle”. It was the culmination of Sir Clive Sinclair’s long-running interest in electric vehicles. Although widely described as an “electric car”, Sinclair characterised it as a “vehicle, not a car”. Sinclair had become one of the UK’s best-known millionaires, and earned a knighthood, on the back of the highly successful Sinclair Research range of home computers in the early 1980s. He hoped to repeat his success in the electric vehicle market, which he saw as ripe for a new approach. The C5 emerged from an earlier project to produce a small electric car called the C1. After a change in the law, prompted by lobbying from bicycle manufacturers, Sinclair developed the C5 as an electrically powered tricycle with a polypropylene body and a chassis designed by Lotus Cars. It was intended to be the first in a series of increasingly ambitious electric vehicles, but in the event the planned development of the follow-up C10 and C15 electric cars never got further than the drawing board. On 10 January 1985, the C5 was unveiled at a glitzy launch event but it received a less than enthusiastic reception from the British media. Its sales prospects were blighted by poor reviews and safety concerns expressed by consumer and motoring organisations. The vehicle’s limitations – a short range, a maximum speed of only 15 mph, a battery that ran down quickly and a lack of weatherproofing – made it impractical for most people’s needs. It was marketed as an alternative to cars and bicycles, but ended up appealing to neither group of owners, and it was not available in shops until several months after its launch. Within three months of the launch, production had been slashed by 90%. Sales never picked up despite Sinclair’s optimistic forecasts and production ceased entirely by August 1985. Out of 14,000 C5s made, only 5,000 were sold before its manufacturer, Sinclair Vehicles, went into receivership. The C5 became known as “one of the great marketing bombs of postwar British industry” and a “notorious … example of failure”. Despite its commercial failure, the C5 went on to become a cult item for collectors. Thousands of unsold C5s were purchased by investors and sold for hugely inflated prices – as much as £5,000, compared to the original retail value of £399. Enthusiasts have established owners’ clubs and some have modified their vehicles substantially, adding monster wheels, jet engines, and high-powered electric motors to propel their C5s at speeds of up to 150 mph. 1922 Standard 2 seater tourer with dickey seat. More recent was this 1957 Standard Pennant. A tail-finned (with optional two-tone paint schemes) version of the Ten, the Standard Pennant was launched in October 1957. Engine power was increased to 37 bhp and an overdrive gearbox was offered as an option. Other options included a radio, heater, leather upholstery and clutchless 2-pedal control. Indian-produced Pennants were branded as “Standard 10”, and lacked any bootlid trim other than the branding. A Pennant tested by The Motor in 1958 had a top speed of 70.2 mph and could accelerate from 0-60 mph in 35.3 seconds. A fuel consumption of 40.2 mpg was recorded. The test car cost £728 including taxes of £243. 42,910 were built. It was replaced by the Triumph Herald in 1959. This particular car is the 8th one built and it was in South Africa for many years. Final machine of note was a Type 2 VW Bus, a well known and very popular collectible these days. As well as cars, there is also a significant collection of early bicycles and plenty of motorbikes, just a few of which are illustrated here. The cycles range from an 1878 Ordinary (Penny Farthing) with a spoon brake, to a pair of 1898 Ideal bikes for a Gent and a tandem, as well as a 1930 BSA Ladies Bike and 1936 Elswick Ladies Bike, to 1984 Raleigh Bikes for Gents and Ladies and others. The Motorbike collection is equally varied with a 1912 Matchless and 1913 Douglas being the oldest, though a number of 1920s models from BSA, Beardmore, Douglas, McKenzie and Scott Flying Squirrel to a 1947 BSA AA motor bike, a 1955 Royal Enfield as well as more recent BMW, Ducati and Moto Morini machines. Among the vast array of memorabilia, I picked out this as an almost disappeared piece of street furniture and something which few of us ever enjoyed seeing: the humble parking meter. The other major attraction at the venue is a collection of Wildfowl, and this pre-dates the Motor Museum by around 20 years, going back to 1962 and influenced by the Sussex artist Philip Rickman and a visit to the Wildfowl Trust at Slimbridge. A pond was dug in a nearby field which was poor agricultural land and the collection was started. The collection held examples of 125 of the 147 species of wildfowl.. There are over 1000 wildfowl in the collection these days and they are now grouped together in a large number of fenced off areas a few minute’s walk away from the museum buildings. There are some discrete information boards in each separate area which tell you which birds are to be found in that particular area, though I found it quite difficult to reconcile the birds I was seeing with the pictures on these boards. I am certainly not an expert on wildfowl, and as I would find out, also not an expert in taking photos of them, so some of these pictures are better than others, but to give an impression of what I saw, here is a collection of the birds that I enjoyed looking at, before the rain started and I needed to head for cover. There are extensive grounds at the venue, and on a sunny day, this would be a wonderful place to enjoy a leisurely picnic, and there are signed walks through Glyndebourne Wood that is part of the estate. And if you get hungry and thirsty a tea room offers some tempting home-made produce. A Sunday in early September is perhaps not going to be the busiest day of the year, but it was clear that the site could cope with a lot of visitors without it feeling crowded. There were very few visitors apart from the Abarth Owners when we were there, making it feel like we almost had a private opening. Whilst the museum, and indeed the whole site, was quite different from what I had expected, it had plenty of charm, and I enjoyed the visit, and felt that this was the sort of place that it would be nice to return to. (Note: as of November 2018, it was announced that the motor museum would close until further notice, and that the wildfowl collection would be sold).